UPDATE: Please be advised that the date of the meeting has been re-scheduled for Sunday, 12th June 2016, due to a change in Mr. Campbell’s availability (as a result of circumstances outside of his control). We hope that many people will be able to attend this meeting, as it promises to be an interesting event, as Graeme Campbell is a well-noted for his shrewd grasp of Australian politics. Graeme Campbell, known to many as the father of modern Australian nationalism, has agreed to be the keynote speaker at an event organised by the Australian Protectionist Party in Perth on Sunday 12th June 2016. Mr. Campbell has been politically active for a long time. A strong advocate for the mining industry, he was first elected to the federal seat of Kalgoorlie in 1980 as a member of the Labor Party. Kalgoorlie was the largest federal electorate in the world; it encompassed the Kimberley and Pilbara regions of Western Australia, as well as the Goldfields around Kalgoorlie, and some wheatbelt and agricultural areas of WA. Mr. Campbell was a member of the Hawke Labor government from 1983-91, but as the Hawke government progressed, he found himself disagreeing more and more with their increasingly progressive, elitist, and globalist direction. Hence he became known as something of a “maverick”. He strongly opposed the Hawke government’s proposed Gold Tax, and “crossed the floor” to vote with the Coalition in 1988, in opposing it. He was an outspoken opponent of mass immigration, Multiculturalism, environmental extremism, elitism, and increasing bureaucratisation. He was a vocal critic of the High Court’s Mabo decision, and he opposed Australian sanctions against South Africa. In 1994, he openly advocated in two by-elections in safe Liberal seats in Sydney, that people vote for a new party named Australians Against Further Immigration. 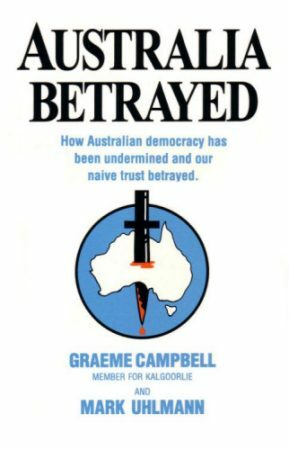 The following year, a book which Graeme Campbell co-authored, entitled “Australia Betrayed”, was published. The front cover has a map of Australia with a knife plunged through the middle of it. Because of him constantly disagreeing with the increasingly progressive direction of the Hawke and Keating Labor governments, he was eventually expelled from the Labor Party in late 1995. But Mr. Campbell remained very popular in his own seat of Kalgoorlie, and he retained it as an independent at the 1996 federal election, which saw the Keating Labor government trounced by the Liberals under John Howard. 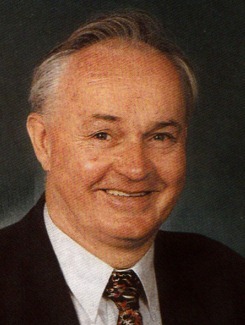 When Pauline Hanson made her famous maiden speech after being elected in 1996, Graeme Campbell praised her, and can be heard saying “hear, hear” a number of times in the background during her speech. In June 1996, Mr. Campbell had combined with Dennis McCormack, the head of Australians Against Further Immigration, to form a new party, the Australia First Party. But with the meteoric rise of Pauline Hanson and her new One Nation party in the late 1990s, Campbell’s new Australia First Party struggled to attract the nationalist supporter base that it had hoped to, and Mr. Campbell was defeated in his Kalgoorlie seat by Liberal Barry Haase at the 1998 federal election. By 2001, Mr. Campbell had decided that “if you can’t beat them, join them”, and he quit his own Australia First Party, to become the new lead Senate candidate for One Nation in WA. Unfortunately, he was unsuccessful in getting elected again, as were his further attempts to get elected to the federal parliament as an independent. But Graeme Campbell’s legacy in Australian politics is profound. He was an old-style Labor man, who cared about the battler, and didn’t like the new direction Australian politics took in the 80s and 90s. When the majority of Australia’s politicians had embraced free trade dogmatism, mass immigration (including from Asia), Multiculturalism, and increased globalism and elitism in its many forms, Mr. Campbell was like a shining beacon in a dark tunnel, fighting to preserve traditional Australia as a sovereign nation of independent people. His speeches and writings have had considerable influence, and he is held in great esteem by many in the patriotic movement for his profound knowledge and wisdom, and his politically incorrect common sense. Mr. Campbell’s experience in politics, which included frequently travelling across vast areas of Western Australia, helped to give him unique insights into the issues facing the mining industry, Aborigines, farmers and pastoralists, fishermen, and people living in remote towns and communities. Mr. Campbell is an inspiration to many Australian patriots, and will be for many years to come. He deserves to be recognised as the Father of modern Australian nationalism. Australian Protectionist Party national chairman Andrew Phillips says “Campbell is a most informative and eloquent speaker, a man of immense knowledge and very interesting to listen to. I wish I could be there — highly recommended!”. This meeting will give patriots in Western Australia an opportunity to do just that. Admission is free, but any donations are always welcome. Also speaking at the event will be Mr. James Fairbairn, the president of Fluoride Free WA, a group opposed to the arbitrary fluoridation of Western Australia’s drinking water supply. Please note that the speaker Graeme Campbell is NOT to be confused with the current mayor of Broome, who is also named Graeme Campbell.